Rush Jets is a private Jet Charter company. 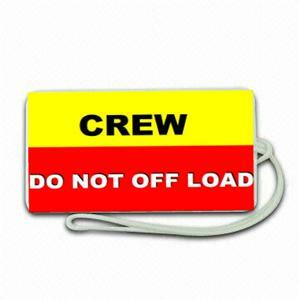 We can supply all types of crewtags for airline staff as well as passengers. These tags are robust, therefore a much better option than the regular paper tags which can get ripped off and lost. If you can't find what you are looking for, just let us know. Each tag has the airline logo on one side and your own personalized information on the reverse side.